Glad to introduce you an impressive handwriting. Introduction Antro Vectra Script Font! Antro Vectra was designed and shares by Youssef Habchi. 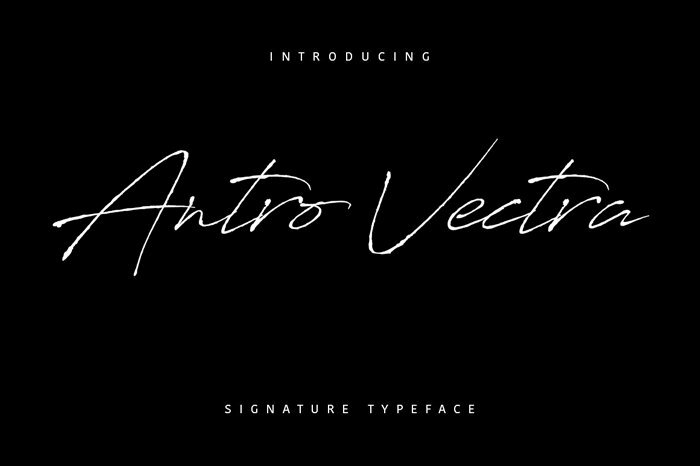 “Antro Vectra Script” is perfectly suited to signature, stationery, logo, typography quotes, magazine or book cover, website header, clothing, branding, packaging design and more.